Peter John Wiens was born Dec. 24, 1897 in Spat, Crimea, Russia to Johann and Helene Wiens. In 1925 he immigrated to Canada and initially lived in Morden, Manitoba. He moved to Winnipeg where he began a car dealership. In 1931 he was baptized and joined the then South End MB Church (later the Central MB Church). In 1932 he married Mary Wiebe and they had two children. Wiens gave much faithful service as a founding member of the church, in the choir and as a musician, playing the trombone in many orchestras. He worked on a committee to help organize Mennonite Brethren Collegiate Institute and he and his wife were one of the eighteen couples who mortgaged their homes in order to build the school. In his retirement he enjoyed restoring antique cars. He died in Winnipeg on March 20, 1987. Taken from the obituaries in the Mennonite Brethren Herald and the Mennotische Rundschau. This fonds was donated to CMBS on 20 October 1993 by Helga Bergen of Winnipeg (daughter). 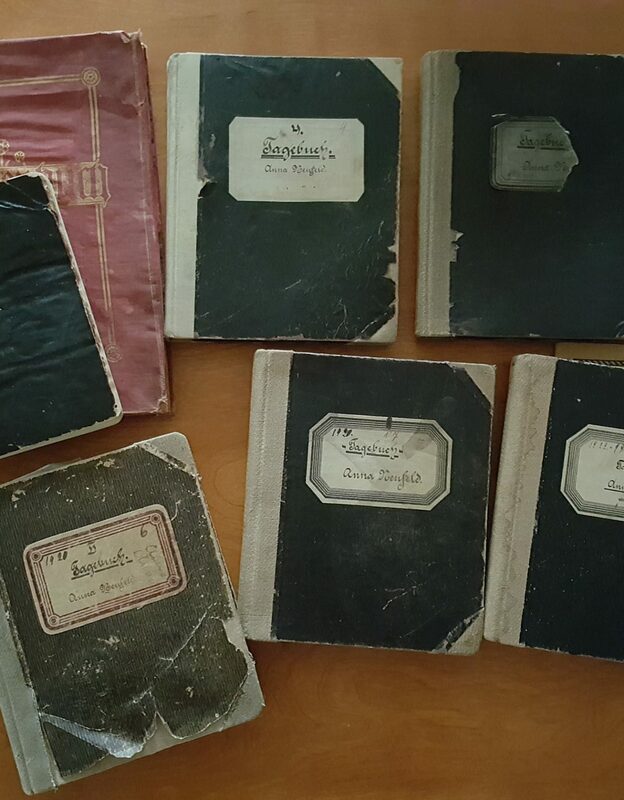 The Peter John Wiens fonds consists of choral music books (now in the Horch Music Collection) and handwritten manuscript music used and collected by Peter J. Wiens and his wife Mary. Much of the music is in Ziffern. The collection demonstrates Wiens' activities and interests in the realm of music. Liederheft des Mariechen Wiebe, Tiege, a bound volume of handwritten German and Russian songs. – [191-]. The back of the book contains a grocery account. – 1933. Liederheft des Joh. Wiebe, Tiege, a bound volume of handwritten German and Russian songs. – 1916, undated. Liedersammlung Peter Wiens, a bound volume of handwritten choral music (binding is broken and pages are loose). – 1924, undated. Handwritten music in cipher notation written at Spat. – 1925. Handwritten music, some in cipher notation. – Undated. Handwritten music in cipher notation. – 1926, 1932, undated. Handwritten music in cipher notation. – 1923, 1933, undated. Handwritten music, some in cipher notation. – 1927, 1928, 1934, 1938, undated. Handwritten music, some in cipher notation. – 1924, 1941, undated. Handwritten music in cipher notation, including an index. – 1927, 1928, 1932, undated. Russian ledger book containing notes, instructions and sewing patterns. – [18 – ]. An obituary and an Archives Accession Record form with a list of published books that were donated with this collection are included in the fonds.